Start off your visit on the 29th (Sun): look for gifts at Pinion Direct Shop. Keep things going the next day: stroll through Yonehara Beach, then take a tour by water with Boat Tours & Water Sports, and then stroll through Shiraho Beach. For maps, other places to visit, reviews, and more tourist information, go to the Ishigaki route maker tool . Valletta, Malta to Ishigaki is an approximately 22.5-hour flight. The time zone difference when traveling from Valletta to Ishigaki is 8 hours. Prepare for somewhat warmer weather when traveling from Valletta in March: high temperatures in Ishigaki hover around 26°C and lows are around 21°C. 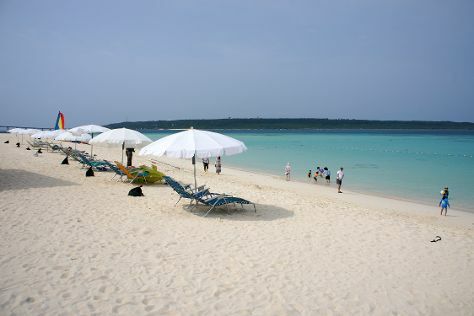 Finish your sightseeing early on the 31st (Tue) to allow enough time to travel to Miyakojima. Your itinerary includes some good beach time at Yonaha Maehama Beach and Sunayama Beach. Take a break from the city and head to Hora Gyoko no Hama Beach and Tomori Imugya Beach. Next up on the itinerary: stroll through Toguchi no Hama, identify plant and animal life at Yabiji, and kick back and relax at Aragusuku Beach. To find where to stay, reviews, ratings, and other tourist information, read our Miyakojima trip planner. Traveling by flight from Ishigaki to Miyakojima takes 2 hours. March in Miyakojima sees daily highs of 26°C and lows of 20°C at night. Wrap up your sightseeing on the 3rd (Fri) to allow time to travel to Hiroshima. On the 4th (Sat), steep yourself in history at Itsukushima Shrine, head off the coast to Miyajima, and then kick back and relax at Mikasahama Beach. Keep things going the next day: admire the masterpieces at Hiroshima Museum of Art, get engrossed in the history at Hiroshima National Peace Memorial Hall for the Atomic Bomb Victims, then don't miss a visit to Hiroshima Peace Memorial Park, and finally examine the collection at Hiroshima Peace Memorial Museum. To see traveler tips, ratings, other places to visit, and tourist information, you can read our Hiroshima holiday planning app . Traveling by combination of flight and train from Miyakojima to Hiroshima takes 4.5 hours. Alternatively, you can fly. Traveling from Miyakojima in April, expect Hiroshima to be slightly colder, temps between 22°C and 13°C. Cap off your sightseeing on the 5th (Sun) early enough to catch the train to Kyoto. Satisfy your inner culture vulture at Gion and Nara Park. Museum-lovers will appreciate Todaiji Temple Cultural Center and Hosomi Museum. Get out of town with these interesting Kyoto side-trips: Osaka (Dotonbori & Osaka Castle). There's lots more to do: explore the historical opulence of Nijo Castle, take in the spiritual surroundings of Kiyomizu-dera Temple, contemplate the long history of Fushimi Inari-taisha Shrine, and don't miss a visit to Heian Shrine. 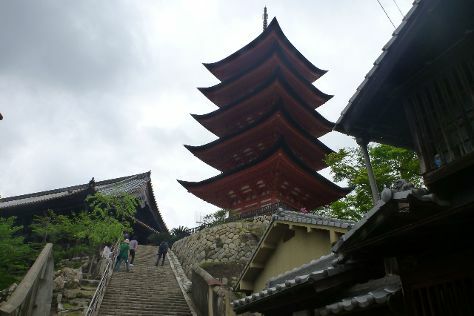 Ask Inspirock to suggest an itinerary and make planning a trip to Kyoto fast, fun, and easy. Traveling by train from Hiroshima to Kyoto takes 2 hours. Alternatively, you can drive; or take a bus. In April, daily temperatures in Kyoto can reach 22°C, while at night they dip to 11°C. 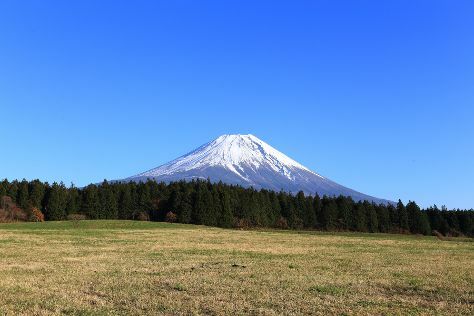 Cap off your sightseeing on the 9th (Thu) early enough to go by car to Fujikawaguchiko-machi. Get in touch with nature at Mount Fuji and Momiji Tunnel. Step out of Fujikawaguchiko-machi with an excursion to Odana Falls in Fuji--about 1h 10 min away. Spend the 12th (Sun) exploring nature at Fuji Hakone Izu National Park. There's still lots to do: explore the activities along Lake Kawaguchi, look for all kinds of wild species at Sankodai, and admire the masterpieces at Itchiku Kubota Art Museum. For ratings, more things to do, photos, and other tourist information, go to the Fujikawaguchiko-machi route planner. Getting from Kyoto to Fujikawaguchiko-machi by car takes about 4.5 hours. Other options: do a combination of train and bus; or do a combination of flight and bus. Traveling from Kyoto in April, expect nights in Fujikawaguchiko-machi to be about the same, around 13°C, while days are slightly colder, around 15°C. Finish your sightseeing early on the 12th (Sun) to allow enough time to drive to Tokyo. Museum-lovers will get to explore Tokyo National Museum and Ghibli Museum Mitaka. For shopping fun, head to Ginza or Harajuku Takeshita-dori. And it doesn't end there: wander the streets of Odaiba, shop like a local with Asakusa, stroll through Ueno Zoo, and admire the striking features of Tokyo Tower. For other places to visit, traveler tips, maps, and tourist information, read Tokyo itinerary maker app . Traveling by car from Fujikawaguchiko-machi to Tokyo takes 2 hours. Alternatively, you can take a bus. Traveling from Fujikawaguchiko-machi in April, expect nights in Tokyo to be about the same, around 12°C, while days are a bit warmer, around 22°C. Wrap up your sightseeing by early afternoon on the 18th (Sat) to allow time for travel back home.